The beauty of the Pacific Northwest was created by the very geologic processes that generate earthquakes, tsunamis, and keep our Cascade Volcanoes active. Living well and safely here requires us to recognize the geologic hazards of our region and to take steps to protect ourselves, our communities, and our businesses from the potential losses these hazards can create. We are not the first to face this challenge. Centuries of experience with these hazards have led to safer building codes, land use regulations, and proven, low cost, actions that if taken, will greatly reduce the risk of injury or serious losses in future earthquakes and eruptions. Every county and most cities in our region have highly trained emergency managers ready to help you reduce your risks. 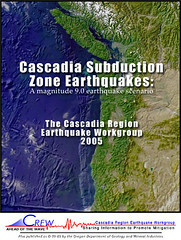 NGOs such as the Cascadia Region Earthquake Workgroup offers planning and preparedness information for businesses and families as well as earthquake scenarios to better understand the hazards we face and their potential impacts. The American Red Cross is also ready to help you prepare and reduce your vulnerability to losses before an event in addition to responding with help after disaster strikes. Washington State citizens can find active links to their county emergency managent agencies in addition to wealth of preparedness and hazard mitigation information and plans put together by the Washington State Emergency Management Division. The State of Oregon Emergency Management site also contains great information and a list of local emergency managers. 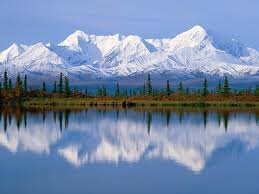 The Province of British Columbia and California are also in the Cascadia Region and are preparing for the same hazards.